Clemens Hofer Trio "Into The Light"
Into The Light is the exciting and innovative calling card from the Austrian three-piece outfit, Clemens Hofer Trio. Formed just over a year ago, this debut release establishes their credentials as musicians and rewards the listener with its sensitivity and cheeky nonchalance, which gets straight to the point. The music has definite connections between traditional and modern, but with none of the clichés of the past. The themes glide unnoticed with easy improvisations and as such serve as the basis and driving force for development and the band’s unique sound. The trio lead by trombonist and primary songwriter Clemens Hofer, supported by guitarist Michiru Rippinger and drummer Wolfi Rainer, is steadily building itself a niche in the increasingly diverse arena of contemporary jazz. 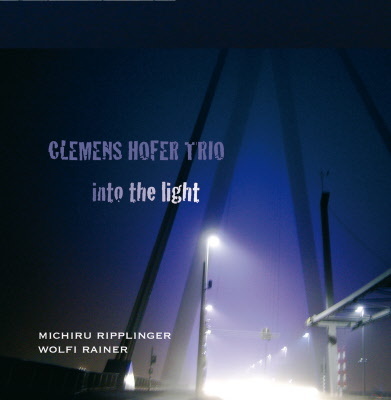 With Into The Light, Clemens Hofer Trio has achieved the fine balance of delivering tracks with their own individual identity, which still manage to compliment each other within the overall context of the album.